You are looking at a space. 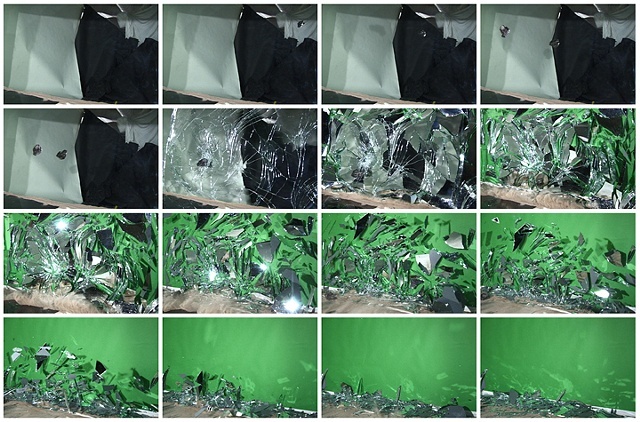 A meteorite enters the space, as it progresses it doubles up, then merges back into one as the image explodes, what remains is a green walll. 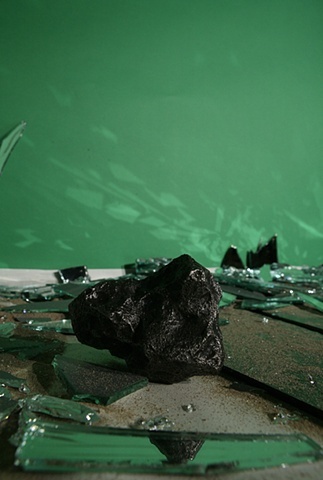 Trevor Gainer made a piece at Gallery 400 in which he threw a meteroite through the window of the gallery into the exhibition space. I asked Trevor to collaborate with me by throwing his meteorite into my mirror.